Helko is one one of the leading forgers of axes in the world. 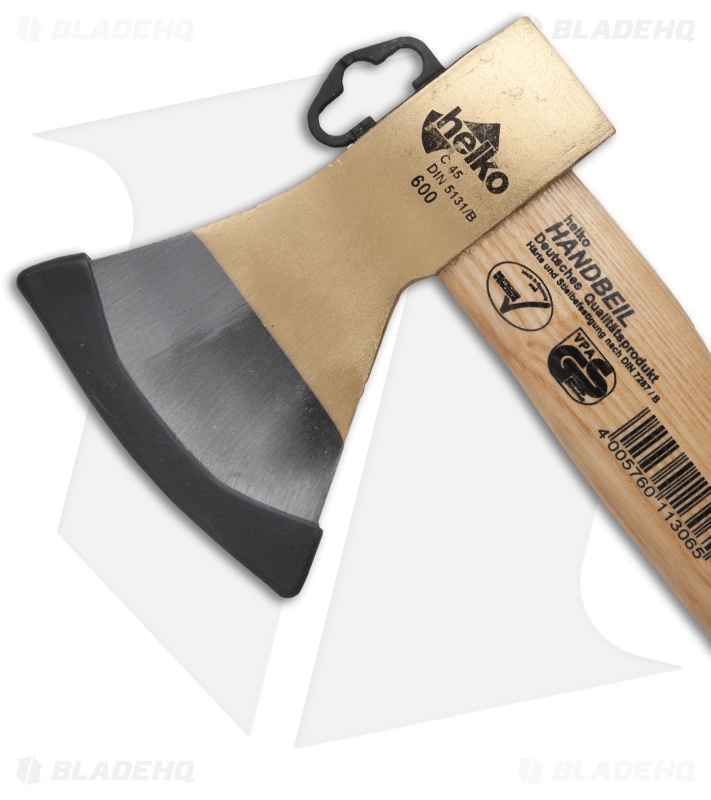 With more than 150 years experience, Helko brings it all to bear in ever one of their products. This German Standard Hatchet is an excellent example of the craftsmanship and detail you can expect. The hefty, 600 gram blade of this quality tool is made of German C45 high grade carbon steel that is drop forged, heat treated, and oil hardened. 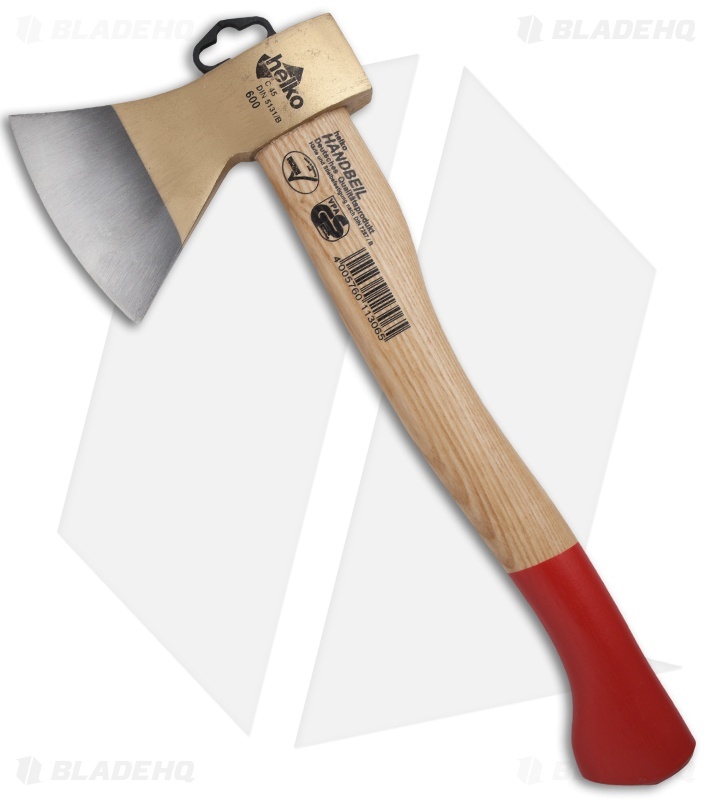 The handle is hand crafted in Switzerland from sustainably sourced and Forest Stewardship Council certified Swiss Ash, lightly lacquered and given a red dipped grip. Comes with a black rubber blade guard.